A PR member told audie61 that in Hulu Selangor by election the BN knew very well how to attack Zaid Ibrahim. The think tank worked overtime to sell itself to the voters and Hulu Selangor voters responded together with a lot of goodies thrown in. There was also a voter who asks for a Latest LG Refrigerator as seen in the advertisements and according to his sources “It was delivered within 2 hours” Would similar tactics be used by the campaigners from both political divides? When a by election comes a calling there will be a lot of goodies on offer and its up to the voters/constituents to go for the REALISTIC Bread and Butter Goodies. Who knows many Companies selling Refrigerators will make some $$$$$ instead of the usual suspects? The party members had to oblige as these are the things which the rural folks needs instead of mega and monstrous projects. Who are the first liners to benefit from all these projects? The people and voters..?? I should say instantly no way. FULL STOP!! The picture above is not meant to belittle or derail DAP or PR but its just to tell the Sarawak P212 DAP members and their partners to expect the unexpected. We manage to outsource the caricature from the Social networking site Facebook. Dont tell me now that Anwar and Kit Siang will use this and say “Kalau dia BN bagi Peti Sejuk,Barang-barang ambil saja tapi undi DAP dan PR.” Wouldnt we just know that they might just do it as the local folks knows what is presented rather than promised. BN will need to just deliver or incur losts votes. Its not so much the developments as 50 years in Malaysia its already expected.PR will have a right go at the legislators and planners who have not carried out the proposals or concepts. So will we hear the Latest LG Refrigerator issue in Sibu P212? Hmmm it will be just a boost for the local economy wouldn’t it? Both the candidates for the Sibu P212 are lawyers representing Two different parties SUPP and DAP respectively and Two different coalitions BN and Pakatan Rakyat. It’s a heavyweight tussle in this 11th by election since 308. Robert Lau Hui Yew (45 years) is the Assistant Treasurer for the Sibu SUPP Branch while Wong Ho Leng (50 years) is the Sarawak State DAP Chairman. In actual fact its a political novice against a veteran of 3 Parliamentary elections. Wong Ho Leng losts 3 times in his pursuit to be the Parliamentary representative for this constituency. He took on the late Robert Lau three times and losts by a margin of above 3000 votes each time. BN Sarawak will have their full machinery and so will PR. Their aim is of course to ensure that their candidate fulfill the coalitions wish of the “ONE DESTINATION to be the NEW MP for Sibu Constituency come nightfall on May 16th 2010. In the run up to the polls there will be a lot of issues used by all parties involved being used to capture the imagination and ultimatedly capture the votes for the ballot box. Yesterday the propaganda war has started when leaders form both opposite camps started selling their PRODUCT and the candidacy for P212 Sibu. Its not only the two candidates at stake but also the two parties SUPP which losts miserably in the last state elections while DAP has more to lose than to gain. A lot of hard work,persuasion,promises and sincerity will be needed to turn the total number of 54695 voters to put the mark X to the candidate. Will DAP plus the PR coalition be able to stop the SUPP BN candidate from galloping home with more than 3000 votes again? The bookies are already monitoring the situation and in no time the odds will be open. Would one be surprise if the ODDS favour the SUPP candidate giving a headstart of 1500? Anyway he is a novice and to asks for 3000 above will be total disrespect for the DAP candidate. He does pull a punch or two and BN will use all its might to ensure that Wong Ho Leng will not make the breakthrough in the “One Destination”. The Parliament House awaits one of them………………. Next in the Billing in the Battle of the Heavyweights will be in Sibu where nomination is on the 8th and polling on the 16th of May 2010. The real fight will be between SUPP against DAP. We will be following the by elections very closely and keep everyone posted……. Call me “OTT“ but its “MHO“ This veteran TRUE BLUE BN politician who has since taken the backseat and only voices his opinions when required was very upset by PRS SG news which appeared in the Borneo Posts today. audie61 management team was at the breakfast table and first thing he said,”Call me OVER THE TOP (OTT) but this is MY HONEST OPINION (MHO) do you think what the SG of PRS has said will be accepted in totality by SUPP or BN. Every help is needed in every byelections/elections for that matter and if one coalition is so busy with its TDC that means they care for themselves more than the BN coalition. What is in the minds of PRS ? This statement should never be uttered and it also gives the Opposition the extra ammunition to tell the voters,” BN partners are overconfident and they dont need each other.” says OTT politician. Correct me if I’m wrong. It just goes to show that this attitude needs to be addressed or else all hell will break loose in the next State elections. audie61 has already informed a few YBs who are very close to inner circles of the CM and they are totally aware of the situation. it seems that PRS is getting a bit too carried away with their numbers of YB in their fold and wants to play leverage says a close aide to the CM. 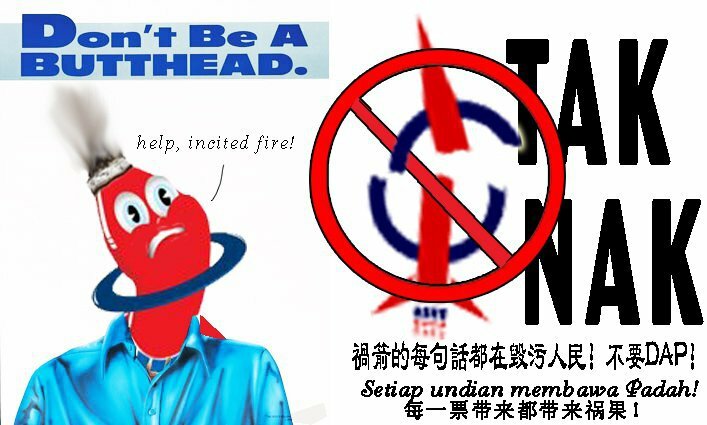 Does it need the BN Supreme Council to step in..?” There seems to be a total blanket of lets do what we can as its already “POSTS TAIB ERA“.However what was significant and a respect of being in the coaliton was the SPDP statement which was very well received by many political analysts. This certainly is a very ” HEAVYWEIGHT STATEMENT” and long may this statement be edged in the minds of SUPP and BN. PRS it seems has a lot of different agendas and the KM3 does pop up once too often for many in the local political arena. Nissom being a veteran politician should have been more diplomatic instead he seems to be subjected to more arrows piercing the heart of PRS. Is he echoing “What the President instructed him to say?” There was already a GAG order in place by the President and this seems to be a collective decision. The CM is of course not available as he is on a trip overseas and he will be most displeased with these developments. CM has a hawks eye on PRS movements and will be too aware of their intentions. Something needs to be done and BN will be a pound foolish to let PRS carry on with the TDC and unless they PRS has losts total respect for the CM and the BN partners. Its not the war but this battle is really crucial for SUPP as it will mean that they will be more comfortable going into the next State elections. Words said like “we are with you in spirit” is not enough if the soldiers from PRS are not in Sibu town fully to support the BN and her machinery on the days up to polling. Is the TDC too important to forsake? Even an OTT veteran politician says it just might put James Masing in a difficult situation with what the SG Nissom has openly said in the Borneo Posts. Maybe James will use his prerogative..hmmm?? Do we need to tell Nissom what to do…??? audie61 tookoff to the cyberworld on May 1st 2008. Our very first article was ,”The Birth of Multi Racialism in East Malaysia” audie61 was not planned to be the voice for some or aligned to any political party. It was a blog shared by all on board with Bugi Wijaya reporting from Sabah, Ally and Joey from Peninsula Malaysia while Cindy and Natasha were stationed in Sarawak covering the vasts state of Sarawak. It not “SS” like the Nazi’s” but Oooops a lot of people know what is…We hope though.Phew didn’t we knock someones teeth out along the way? Didn’t we take a battering from the emails we received and the hate smses? audie61 took all good or bad with a FORGIVING HEART. We have send felicitations,condolences and congratulations to many and we have tried to reach out to all those in need and destitute desperate for help. It is all WORTH THE WHILE and we intend to go towards our next target. There is still so much to look forward to. We have the Hulu Selangor and Sibu Parliamentary elections which is right in the news besides that we might just be able to update our friends,readers and alliances on the SPDP separatists and other exciting updates. Wonder what caught the imagination the mosts from our friends out there? Our Foes might just be happy if we had not stumble upon them and written about them. Its basically been such a roller coaster ride and we all have enjoyed every minute of it and we have toed the line. Our lawyers are always telling us to be responsible and not fall foul into and direct into the hands of the authorities. Today its all about us and everyone connected with audie61 has every reason to be proud of reaching the magical number of 1000. We hope you will enjoy with us this special song to commemorate our special day.17th of april 2010″THANKS TO ALL OF YOU WHO KEEP US GOING” . Sibu voters will go to the polls on May 16 after an eight-day campaign with nomination day being set for May 8, announced the Election Commission today. This will be the 11th by-election in the country after the last general election in March 8, 2008. SUPP’s Robert Lau Hoi Chew, who was also the deputy transport minister, died on Apr 9 after losing in the battle with liver cancer. At last count, Sibu has 53,679 voters with a Chinese majority of 60 per cent. 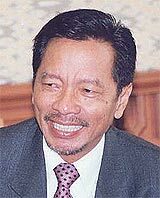 There is also a large concentration of Melanau (20%), Iban (18%), Orang Ulu (1.1%) and other races (0.9%). Lau, who had been Sibu MP under the Sarawak United People’s Party (Supp) flag for five terms since 1990, beat Sarawak DAP chief Wong Ho Leng and PKR’s Lim Chin Chuang in a three-cornered fight in the last general election. Lau won by a majority of 3,235 votes with 19,138 votes against Wong’s 15,903 and Lim’s 812.